The San Mateo County beach had been open to the public for almost a century. The previous owners let visitors pay a parking fee to visit it. Then in 2008, Silicon Valley billionaire Vinod Kohsla purchased the property. Since then, Martins Beach Road -- the only access road to the surfers’ paradise -- has been closed. The goal of the survey is to establish the nature and extent of public use of the property before Khosla bought it. 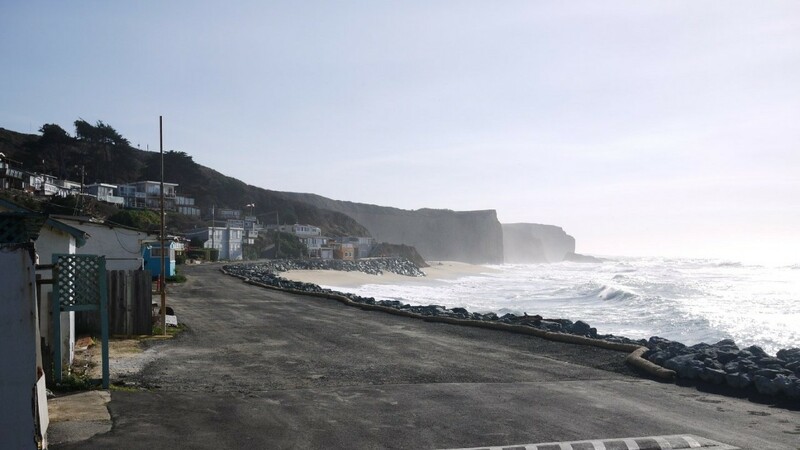 “Martins Beach has a very long and obvious history of significant public use,” said Charles Lester, executive director of the Coastal Commission. If the commission can show that the public has been using the land for at least five years, Lester says if might help re-establish public access. “Under the Coastal Act public access to and along the shoreline is supposed to be protected,” said Lester. The commission has been working with Kohsla and his lawyers to restore public access to the beach. The advocacy groups Surfrider and Friends of Martins Beach are also pushing for public access to the beach. Both have sued to re-open the beach. The survey gives the public an opportunity to share their past experiences at Martins Beach. Survey respondents reported using the beach for smelt fishing, an annual “Pumpkin Picnic,” surfing and other family gatherings. Several reported that their families had been visiting Martins Beach for three generations. There's a link to the survey at www.coastal.ca.gov.